I love October. One of the main reasons I love October in Birmingham is that the weather is finally cooling down. I think it’s the best month of weather we have during the year. We typically have bright sunny days with low humidity and comfortable temperatures. I always recommend that people who have never been to Birmingham visit in October. It's a great time to visit Railroad Park. 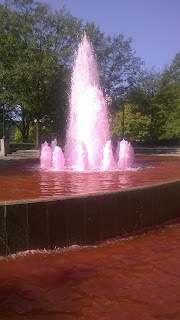 The fountain in Linn Park also gets changed to pink in preparation for the Komen North Central Alabama Race for the Cure®. Besides the good weather, I love October because I can turn on any channel and find sports. October is the month when all the sports I enjoy are being played at the same time. This week, I have watched college football, NFL football, NBA basketball, and the World Series. Like baseball, I tend to watch NHL hockey during the playoffs, but if I feel inclined, the NHL season is back in full swing right now. October is a great month for sports fans. Game 3 of the World Series is tonight in New York. The Kansas City Royals lead the New York Mets 2-0. 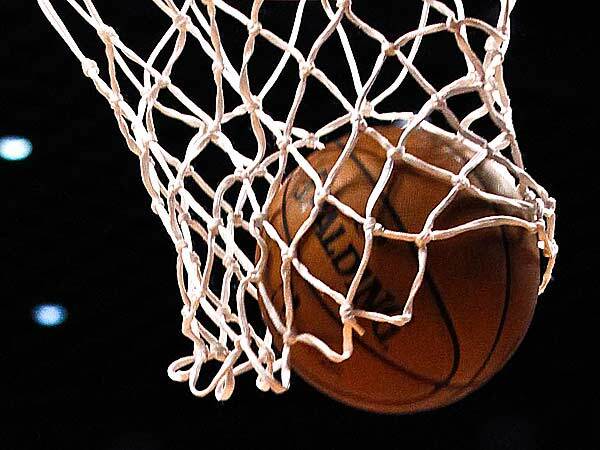 It is essentially a must-win game for New York because it is extremely difficult to come back from a 3-0 deficit. According to SB Nation, “there have been 33 different best-of-seven series in MLB postseason history that have started 0-3. Only one team came back to win, the 2004 Boston Red Sox in the ALCS.” I remember watching the ALCS that year and I still can’t believe the New York Yankees lost four straight after being up 3-0. Boston went on to sweep the St. Louis Cardinals 4-0 in the World Series. As we finish up this month, enjoy the nice weather, enjoy the great sports, and Happy Halloween! The Birmingham Public Library (BPL), in partnership with the Birmingham Children’s Theatre (BCT) and Junior League of Birmingham (JLB), would like to invite you to attend From Page to Stage: Seussical — A Readers’ Theater Workshop for Children. In anticipation of the upcoming BCT performance of Seussical, BPL will be hosting free workshops at several of its area libraries. 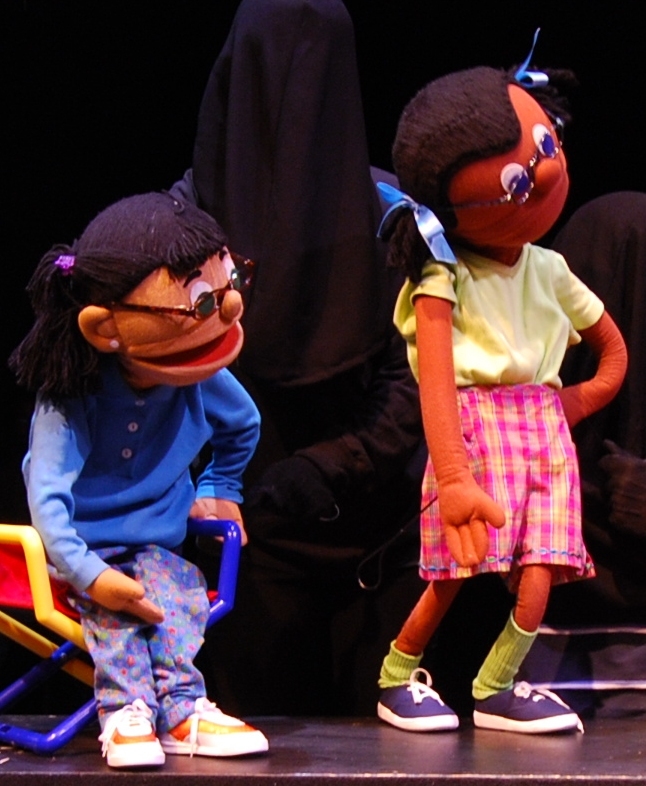 Children, aged 7 to 12, will learn how storybook characters come alive through the magic of theater. JLB members will coach the children and introduce them to similar literature located in their local library. Each child will receive two free tickets (one child and one adult ticket) to the BCT Seussical production in December 2015. Horton the elephant hears a small sound coming from a tiny speck of dust and discovers a whole world of people called Whos! Horton vows to take care of them because a person’s a person no matter how small. All the animals, however, think Horton is crazy. Can Horton convince them there really is a whole world they can’t see? 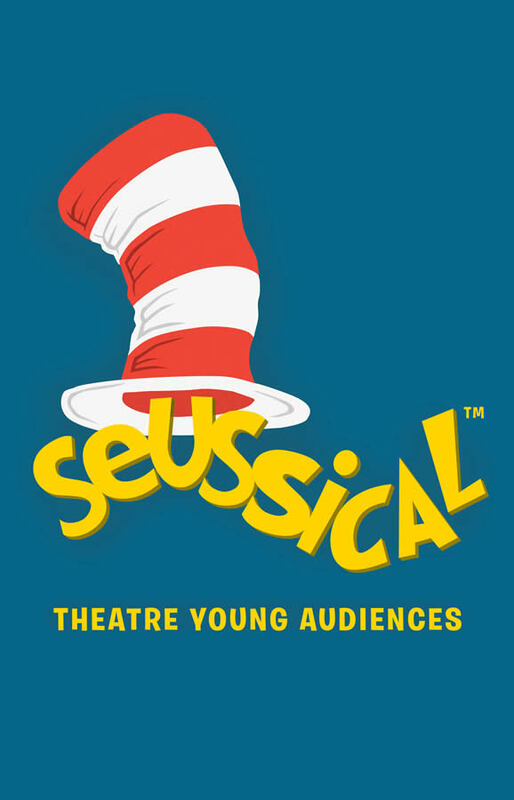 Seussical is a spectacular musical where stories of Dr. Seuss come alive before your eyes demonstrating the power of imagination, dedication, and thinks! Workshop space is limited, so contact your participating library location to register a child for the workshop. Avondale: Sunday, November 15 at 2:30 p.m.
Central: Sunday, November 22 at 2:30 p.m.
East Lake: Saturday, November 14 at 2:30 p.m.
Five Points West: Sunday, November 15 at 2:30 p.m.
Pratt City: Saturday, November 14 at 2:30 p.m.
Southside: Saturday, November 21, at 2:30 p.m.
Springville Road: Sunday, November 22 at 2:30 p.m.
West End: Saturday, November 21 at 2:30 p.m.
Don’t you just love Star Wars? I know I do. There is no bigger Star Wars fan than I. In fact, I have an entire room in my basement dedicated to Star Wars. Included in my collection/memorabilia is a 27-slot acrylic display case housing 27 Star Wars action figures: I have an X-wing fighter; a Millennium Falcon; and a life-size poster of my favorite Star Wars character, Yoda. 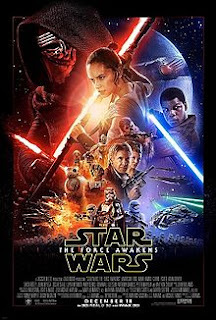 I have seen the entire 6-movie saga several times and I am eagerly awaiting the new release, Star Wars Episode VII: The Force Awakens, which will open in the U.S. on December 18. This newest episode, set 30 years after the events of Episode VI: Return of the Jedi, is sure to be a total thrill ride and I plan on being there, front and center, popcorn in hand, on opening night. The collection that the Birmingham Public Library houses on Star Wars is enormous. Included are books, audiobooks, and DVDs on Star Wars and the Star Wars universe. In case you haven’t seen the first set, BPL has all six of the first movies in the saga on DVD format. Also, a host of websites are available as well on Star Wars. May the force be strong with you while you await the newest episode in the Star Wars saga: Star Wars Episode VII: The Force Awakens. Karyn Davis, regional HR manager for Best Buy, Monica White, and BPL director Angela Hall. 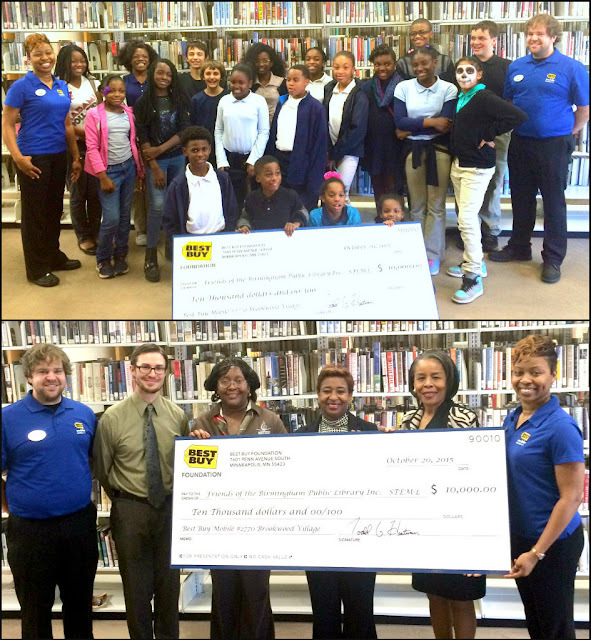 Thanks to a $10,000 grant from the Best Buy Foundation, the Birmingham Public Library (BPL) is planning to add new services in its STEM-focused afterschool program for teens in its Central Library. Since the summer of 2015, Central Library at 2100 Park Place has been collaborating with the University of Alabama at Birmingham (UAB) School of Engineering to provide a weekly STEM-focused technology-based afterschool program for teens. BPL's system teen librarian, Lance Simpson, and grants writer, Carrie Campbell, joined with School of Engineering's director of outreach, Dr. Abidin Yildirim, and community volunteer, Keiah Shauku, to write a grant seeking funds to expand the program’s offerings. Best Buy Foundation officials approved a grant for $10,000, which will be used to purchase microcomputers, robotics kits, and an array of other technological tools to facilitate teaching engineering concepts in the weekly afterschool program. 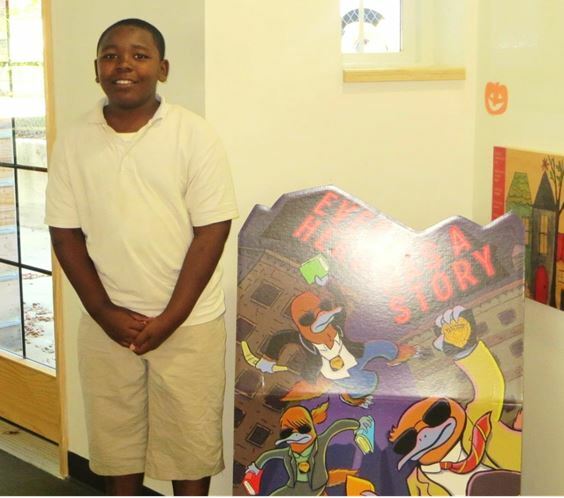 During the school year, BPL's Central branch hosts 70 to 90 children and teens daily after school. Most of these students attend Phillips Academy, a Birmingham City Schools magnet K-8 school located near the library. Lisa Sanders, general manager for Best Buy Mobile in Colonial Brookwood Village, said the Central Library STEM-based program is a perfect fit for the technology retailer’s desire to uplift the communities it serves. Zo Shauku, a 9th grade homeschool student who participates in the Central Library STEM program, said the Best Buy Foundation donation will be an asset to students like him. Shauku says he wants to be an electrical engineer. Elizabeth Green and William Holland, both students at Phillips Academy, said the STEM program has been a major benefit for students, teaching them technology skills that will pay off in high school and beyond. More information regarding the grant from Best Buy can be found here: https://corporate.bestbuy.com/community-grants-page/. The Prado Museum, in Madrid, is one of the brightest jewels of Western culture and F. J. Sanchez Canton was its director, having worked there, as a scholar, for over five decades. The Prado is his authoritative introduction to the institution’s rich history and its unparalleled collections. One of the miracles of Spanish history is that its kings, the most powerful rulers of the Renaissance, were avid and distinguished art collectors. Even more miraculous is that their royal collections were never broken up and dispersed. The king’s centuries of patronage and careful purchases became the core collection of the Prado, which they established. Velazquez and Goya each worked for decades as their king’s painters, producing scores of important paintings. Titian, Rubens, and Tiepolo all worked as painters for the Spanish kings, for years each, producing some of their most important works with direct royal patronage. Painting by painting with color illustration, Canton helps us understand the collection’s highlights, in part, as he understands them himself, in his professional capacity. Canton briefly mentions the condition of the paintings, taking pride in the care with which he and his predecessors have brought these masterpieces forward into our time. The Prado was written in the 1950s, and Spain was a very different place. The fascists controlled the country and the fear of those times is present in Canton’s account of the history of this brilliant national institution. The contributions of Spain’s great families are gratefully, a bit obsequiously, acknowledged throughout the book, giving us some appreciation of the freedom of speech we, and Spain, today enjoy. The primary readers of this book will be travelers to Madrid preparing for their encounters with the museum’s many masterpieces. But anyone wishing to understand the international development of painting from the Renaissance to the dawn of the modern era will gain fresh insights from this concise survey. Should you be an art lover using this book to prepare for a trip to Madrid, you may intuit that a minimum of two visits to the Prado during your sojourn may be wise. Seven of the Birmingham Public Library (BPL) System’s libraries will begin their winter hours on Monday, November 2, 2015. Neighborhood libraries including East Ensley, Ensley, Inglenook, North Avondale, Powderly, Woodlawn, and Wylam will maintain this temporary schedule through Friday, March 4, 2016. The hours of operation will be Monday, Tuesday, Thursday, and Friday from 8:00 a.m. until 12:00 p.m., and from 1:00 p.m. until 5:00 p.m. On Wednesdays, the libraries operate from 1:00 p.m. until 5:00 p.m. All other BPL locations will maintain their regular schedules. 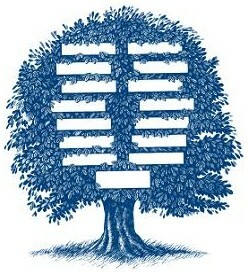 For additional information on BPL locations and hours of operation, please visit our website at www.bplonline.org. This year marks seventy-four years for the Magic City Classic, an annual rival between Alabama A&M University and Alabama State University, two of Alabama's most prominent historically black universities. 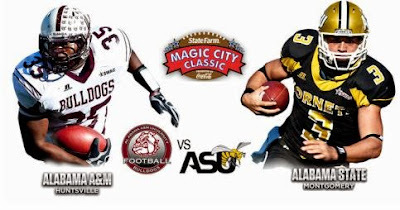 The game is played at Legion Field in Birmingham, and some of the festivities held in conjunction with the game include an events parade, gospel concert, pep rally, and the "Battle of the Bands" between the two schools' marching bands. Located in the center of the classic festivities is the Smithfield Branch Library (formerly the Booker T. Washington Library and the first library for blacks in the state of Alabama), a vital link and iconic landmark located in one of Birmingham’s most historic districts. Because the streets around the library are blocked off for the game, the library will close at 1:00 p.m. on Friday, October 30, and will reopen Monday, November 1. 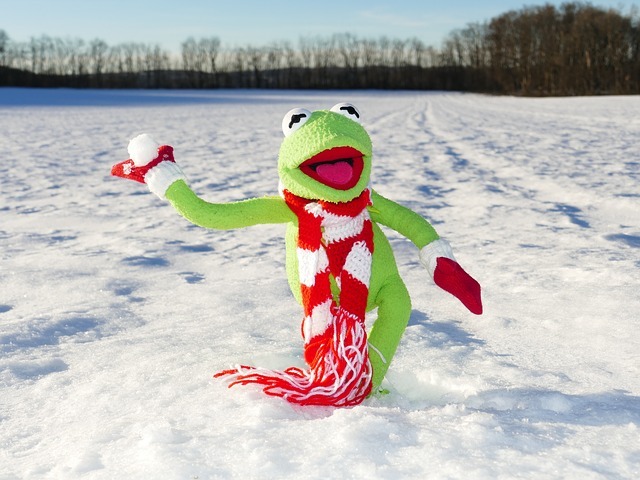 All other Birmingham Public Libraries will be open for regular hours of operation. It’s time for family, fun, and good food! See you next year! How many of you grown-ups remember The Baby-Sitter’s Club series? I devoured every single book when I was in elementary school. (There were over a hundred to choose from!) The series is about a group of middle school girls who have founded a babysitting business. The books follow the girls on their various jobs as well as taking some time to deal with the individual characters and their issues (things like divorce of a parent, diabetes, school trouble, first crushes, etc.) Looking back, I am not sure if it would be quite as appealing to a kid today; the cover art might look a little old fashioned or the way the kids talk might seem a bit hokey. If you want to share these engaging stories with the next generation, I suggest you try them in graphic novel form! 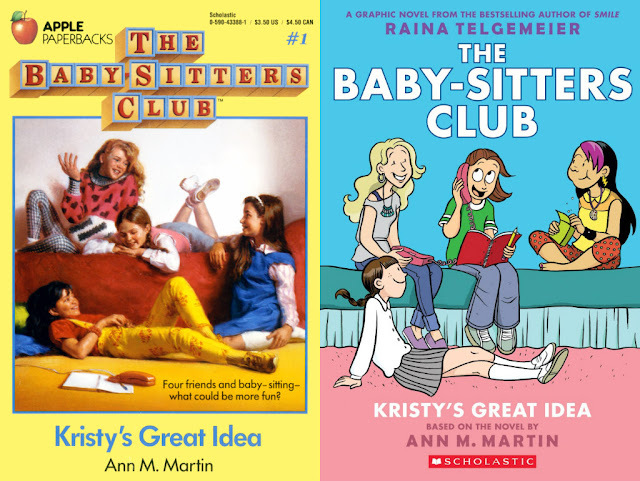 The Baby-Sitters Club has been given a little update from Raina Telgemeier, the best-selling author of Smile. All of your favorite characters and stories are there, but the girls have been drawn in fun and modern detail. They are a perfect read for reluctant students! So far, only four books in the series have been turned into graphic novels, but I have high hopes for more very soon. If you get your kids really into the series or you want to take a walk down memory lane, never fear! Many of the Jefferson County Libraries still carry the old series too! On October 8, 1895, the Birmingham Public Library was designated as a Federal Depository Library. We have proudly maintained our partnership with the Government Publishing Office for the last 120 years. As the largest publisher in the world, the United States Federal Government realized the need to make government publications available to the people as early as 1813. Over the years, government information and how we access it has changed tremendously. Once government publications were available only on paper, now many federal agencies publish online and paper documents are quickly becoming a thing of the past. One thing remains the same, however, and that is our mandate as a Federal Depository Library. We are proud to offer government information to the public in a timely manner and with excellent customer service. Alabama has 22 Federal Depository Libraries. However, most of them are university or government agency libraries. Birmingham Public and Gadsden Public Library are the only public libraries in Alabama that serve as Federal Depositories. Libraries that are part of the Federal Depository Library Program (FDLP) receive publications from various federal agencies, free of charge, and make them available to the public. Census records, decisions of the U.S. Supreme Court, congressional hearings, and all manner of statistics are just a few examples of government documents. Since government agencies cover topics such as education; public health; farming; and even the weather, your local government documents library is sure to have something for everyone. Andrew Glaze, a new member of the Alabama Writers Hall of Fame, puts the South in the spotlight in only the way a true southern poet can. 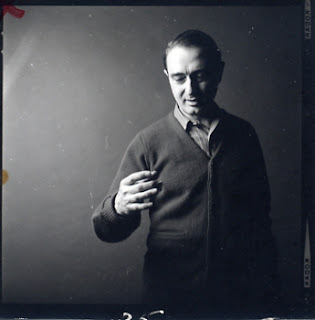 The Birmingham Public Library (BPL) presents an exhibit of photographs and memorabilia of Andrew Glaze, Alabama’s Poet Laureate. The exhibit opens on November 6 and runs through December 31 at the Central Library located at 2100 Park Place. 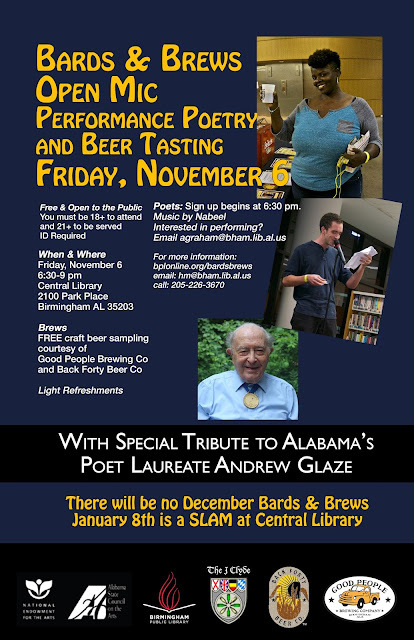 Further celebrating Glaze’s newest published collection of poetry, local poets will honor Glaze in two readings in November: BPL’s Bards & Brews Open Mic on November 6, 2015, at the Central Library (honorary readings during half-time) and The Nitty Gritty Magic City poetry group on November 8, 2015, at Desert Island Supply Co.
Alabamians can truly claim Glaze as their own. While born in Nashville, Glaze grew up in Birmingham. He attended local Birmingham schools Lakeview and Ramsay. After graduating from Harvard and completing four years abroad in France with the US Army Air Force, he returned to Birmingham as a court reporter for the Birmingham Post-Herald during the civil rights movement. This inspired his famous poem, “I Am the Jefferson County Courthouse,” (1981) and many others that have made him one of the top southern poets of the 20th century. 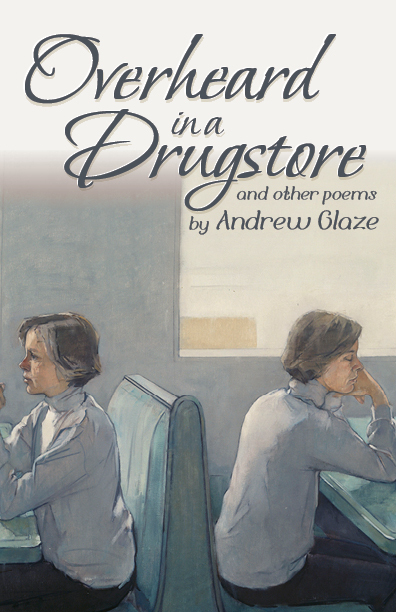 In 2013, Andrew Glaze earned the title of Alabama’s eleventh Poet Laureate. In July 2015, he was inducted into the Alabama Writers’ Hall of Fame. 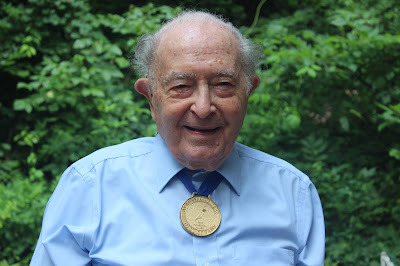 Now at the age of 95, he has published a new collection of poetry, Overheard in a Drugstore (NewSouth Books, August 2015). This collection reflects Glaze’s witty, unorthodox sense of the world where the South is always a present force and the human condition something deserving of contemplation. Rear: Robert Frost, Robert Bordner, Graeme Lorimer, Andrew Glaze, Wallace Stegner, Rudolph Kieve, Theodore Morrison, Eugene Burdick, William Sloane. Front: Carol Warren Burdick, Kay Morrison, Helen Everitt, Mary Stegner. Photos like these and more in the BPL exhibit will allow patrons a glimpse into the life of Glaze, a life in all ways Alabamian. 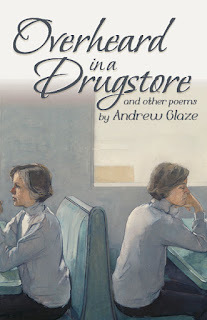 Andrew Glaze has been highly praised in the New York Times, nominated for the Pulitzer Prize, and honored with awards from Poetry Magazine and the Southeastern Booksellers Association. 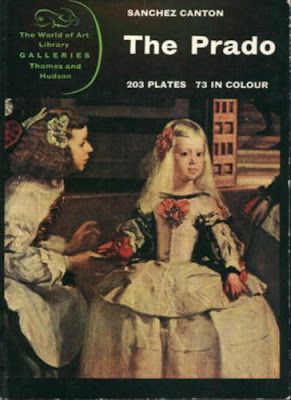 His first full-length collection, Damned Ugly Children (1966) was named a "Notable Book" by the American Library Association. He is in the Alabama Writers Hall of Fame and is serving as the eleventh Poet Laureate of Alabama. RESOURCES Check out these books about Andrew Glaze. At its October 2015 meeting, the Birmingham Public Library (BPL) Board voted to appoint Sandra “Sandi” Vick Lee as its associate director. Lee begins her new duties on October 31, 2015. Lee is a graduate of Huffman High School, holds a Master’s of Arts Degree in Education from the University of Alabama at Birmingham, and a Master’s Degree in Library and Information Studies from the University of Alabama. Lee has worked for the BPL system for 21 years. She began her career as a storyteller at the Springville Road Regional Branch Library, and later moved to the Central Library where she served as the head of the Youth Department. For the past 10 years, Lee has served as a coordinator for the library. At the Central Library, she served as the Public Services Coordinator where she was responsible for public programming. She also supervised the daily operations of the public service departments. 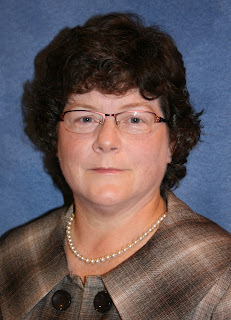 Lee currently serves as the Eastern Region and Adult Services Coordinator. 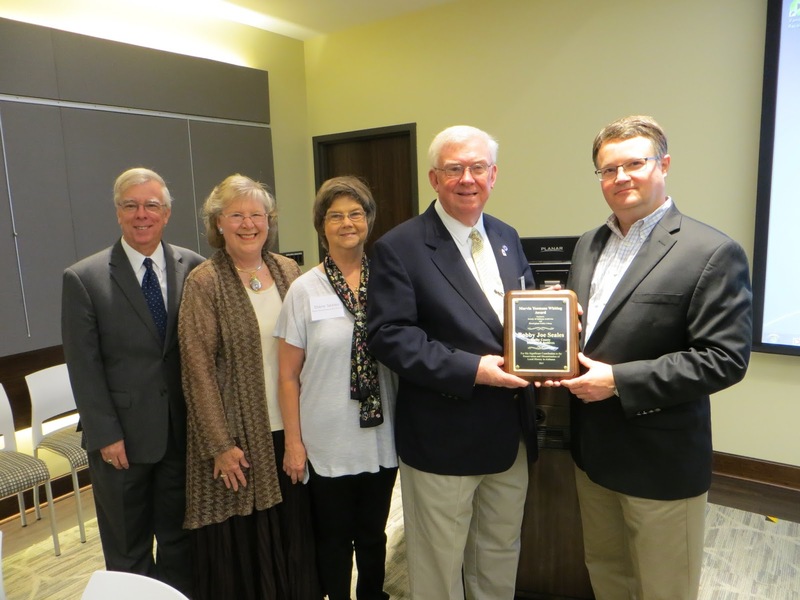 The Society of Alabama Archivists and the Birmingham Public Library presented the 4th annual Marvin Yeomans Whiting Award at the society’s annual meeting at Auburn University on October 16. The award is named for the Birmingham Public Library’s first archivist and recognizes an individual, institution, or organization that has made a significant contribution to the preservation of local history in Alabama. The 2015 award was presented to Bobby Joe Seales, who has served as president of the Shelby County Historical Society and executive director of the Shelby County Museum and Archives for 16 years. 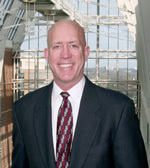 He will retire from both positions on November 1, 2015. Under his leadership the museum and archives has grown into one of the finest county archives in Alabama, and is visited by thousands of people each year. As president of the historical society he has helped increase membership from fewer than 200 people to approximately 1,000 today. Bobby works in partnership with the University of Montevallo and other organizations to collect, preserve, and digitize the historical records of Shelby County, and his work has been recognized by Alabama Gov. Bob Riley, the Church of Jesus Christ of Latter Day Saints, and by the Alabama Daughters of the American Revolution. He serves on the Board of the Alabama Baptist Historical Commission, as a member of the Alabama Bicentennial Commission, and has served as president of the Friends of the Columbiana Public Library. Quoting from the nomination for this award submitted by Phoebe Donald Robinson, a columnist for the Shelby County Reporter: "Bobby Joe Seales has committed his life to serve others and preserve history. I submit that no one is more deserving of this award, and that the timing is perfect to honor him." Chrishaun Brown, a young man who attends Inglenook K8 School and frequents the Inglenook Branch Library, came to my office one day after school asking to speak to me. I obliged and welcomed him with open arms. Excitedly, he began telling me about an issue that infuriated his brother. He said that he first listened to his brother and then spoke to him, calming him down and helping him see the logic in the decision that he was about to make to satisfy his fury. At the end, Chrishaun said, “I thought about what ya’ll have been saying all summer, ‘Every Hero Has a Story.’” I was blown away! This young man not only felt confident enough to share his story, but also had the courage and the intellect to apply the summer reading theme and all the lessons that he’d learned from the activities and programs centered on it to helping his brother manage and properly deal with his anger. He also demonstrated how a hero, even from a modest act, can emerge and impact larger events, actions, and outcomes. This interaction reminded me of how I, we, the public library as a whole are making a difference in lives. Chrishaun Brown, an aspiring artist, is definitely a hero in my book and a great example of how impactful public libraries are and will continue to be. H.G. Wells is regarded as one of the major authors of science fiction and one of the most brilliant minds of his generation, famous even to the average man on the street because of the 1938 radio broadcast of War of the Worlds by Orson Welles and his Mercury Theatre Company. But did you know that H.G. Wells visited Birmingham, Alabama, in October of 1940? 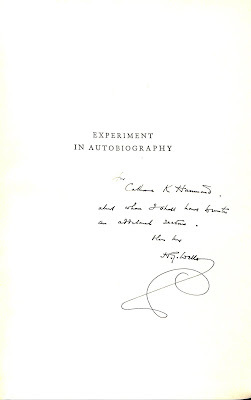 And that we have autographed works by Wells in the Birmingham Public Library’s Rare Book collection? My leg was broken for me when I was between seven and eight. Probably I am alive to-day and writing this autobiography instead of being a worn-out, dismissed and already dead shop assistant, because my leg was broken . . . I could demand and have a fair chance of getting anything that came into my head, books, paper, pencils, and toys—and particularly books. I had just taken to reading. I had just discovered the art of leaving my body to sit impassive in a crumpled up attitude in a chair or sofa, while I wandered over the hills and far away in novel company and new scenes . . . My world began to expand very rapidly, and when presently I could put my foot to the ground, the reading habit had got me securely. It is very difficult to give any facts about this dominie and his Academy which do not carry with them a quality of Dickens-like caricature . . . . there was something good about old Morley and something good for me. I have an impression that with a certain honesty he was struggling out of that tradition and trying to make something of us . . . Yet if I describe a day's work in that dusty, dingy, ill-ventilated schoolroom, there will not be a qualified teacher in the world beneath the age of fifty who will not consider it frightful. Many of Wells’ best-known novels were written early in his career—The Time Machine, The Island of Doctor Moreau, The Invisible Man, and War of the Worlds were all published before 1900. But Wells wrote throughout his adult life on diverse topics such as biology, history, politics, and religion. In keeping with the premonitory tone of some of his science fiction novels in which he foresaw the horrors of modern warfare, he lived long enough to see both World Wars, dying in 1946 at the age of 79. Birmingham mayor William Bell has proclaimed the week of October 18-24 in Birmingham as Friends of Libraries Week. The mayor presented the proclamation to Birmingham Public Library director Angela Fisher Hall and Friends of Birmingham Public Library Foundation president Regina Ammon during the city council meeting on Tuesday, October 20. The recognition comes as part of a National Friends of Libraries Week. In making the presentation, Mayor Bell thanked Birmingham’s 19 library locations for providing needed services to citizens. Now, therefore, be it resolved that I, William A. Bell, Sr., Mayor of Birmingham, proclaims October 18-24, 2015, as Friends of Libraries week in Birmingham, Alabama and urge everyone to join the Friends Council of the Birmingham Public Library and thank them for all they do to make our library system and community so much better. 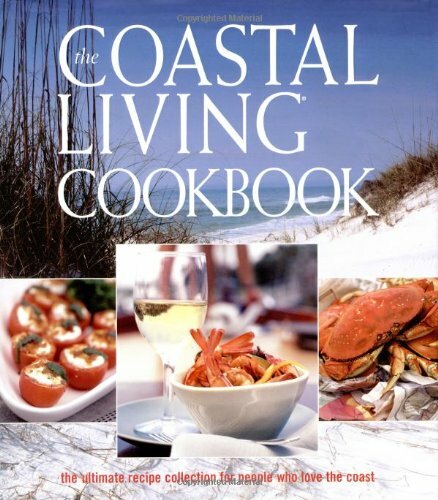 Studies have shown that eating fish and shellfish regularly is very beneficial to our bodies in many ways; here are some great reasons to add more seafood into your diet. Not only can seafood relieve the symptoms of asthma in children, but it has shown signs of preventing it. One study suggests that an extra portion of fish every week can cut the risk of heart disease in half. Eating fish can improve your circulation and reduce the risk of blood clots. Eating fish as a regular part of a balanced diet has been shown to ease the symptoms of rheumatoid arthritis. Registration is now open for staff and the public for the November 2015 Classes. During this month, we include our popular computer classes, as well as a variety of personal development classes. All classes are held in the Regional Library Computer Center (RLCC) of the Central (downtown) Library. PRE-REGISTRATION IS REQUIRED FOR ALL CLASSES. To register for any class, please email us at cenrtc@bham.lib.al.us or call 205-226-3681. You may also download and print a pdf copy of the November 2015 Class Schedule to bring to a Computer Commons staff member on your next library visit. 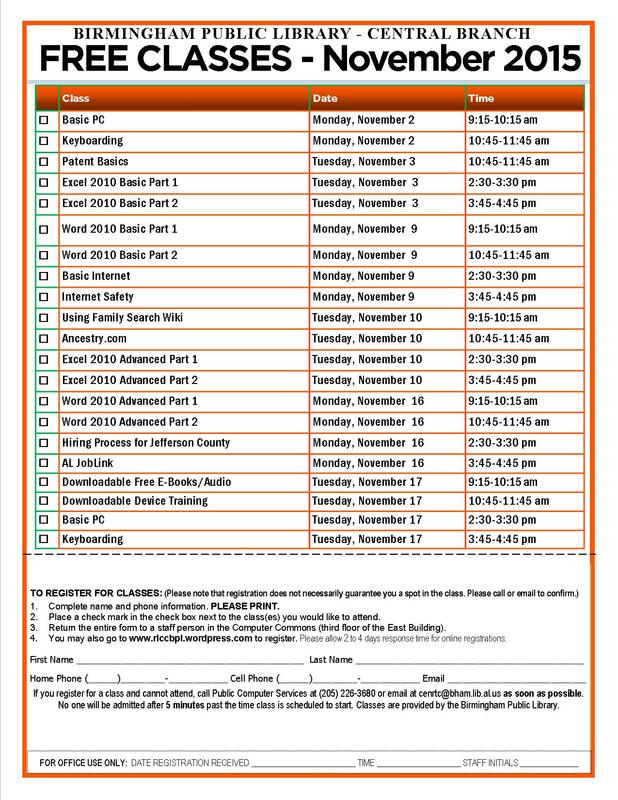 Please note that the November 2015 Class Schedule pdf can be sent to us as an email attachment. How trademarks, copyrights, patents, domain names, and business name registrations all differ. Why it is important for any new business to select a trademark that will be both federally registrable and legally protectable, highlighting factors critical when choosing a mark. The importance of doing a complete search and whether an attorney should be used. 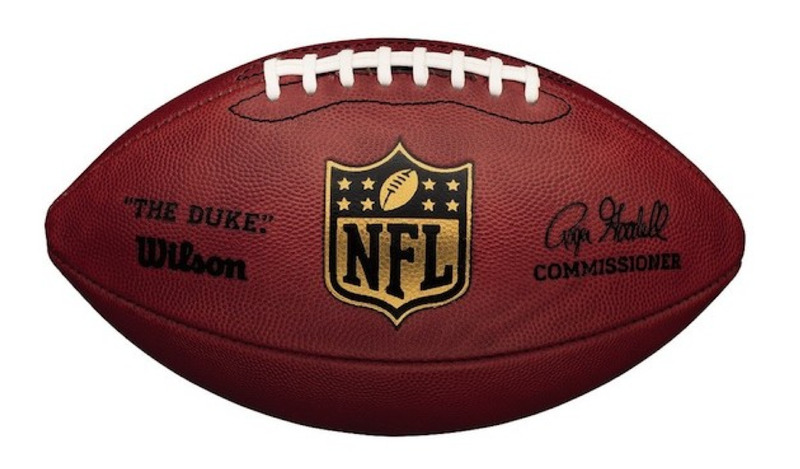 What may happen if another trademark owner believes it has stronger rights in a mark and issues a "cease-and-desist" letter. Information on what the USPTO does in the federal registration process and how to avoid "scams" perpetrated by companies that request fees for services not required by the USPTO. 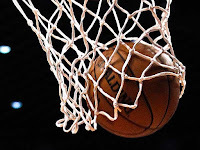 Mr. Morris works within the Office of the Commissioner for Trademarks in the United States Patent and Trademark Office in Alexandria, Virginia. Currently, he is the Managing Attorney for Trademark Outreach, spearheading the effort for increased USPTO educational activities in the area of trademark fundamentals. For fourteen years prior, he was the Managing Attorney for the Trademark Electronic Application System, focusing on making the Trademark Operation a total e-government environment. Mr. Morris has been with the USPTO since 1983, previously serving as a Law Office Examining Attorney, Senior Attorney, and Managing Attorney. This program is free and open to the public. It is a once in a lifetime opportunity to hear one of the nation's leading trademark experts. Please call our Government Documents Department at 205-226-3620 if you have any questions. The 592-page autobiographical graphic novel Blankets by artist Craig Thompson is heavy on the hands and heart. 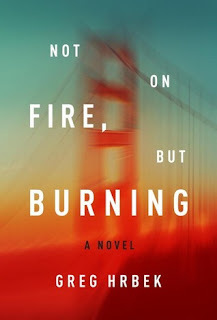 It begins with the story of a young Craig Thompson who lives in Wisconsin with his Christian fundamentalist parents and his younger brother; both brothers are subjected to harsh discipline by their parents and sexual molestation by a male babysitter. Thompson, feeling like a misfit in school and church, is bullied for his looks, interests, and faith. But the maturing Thompson doesn't allow these negative episodes to define him, because what Blankets is about above all else is a universal message about the large life awaiting you outside the shrunken confines of your current situation and everything that encompasses: the seedy things you deal with alone; the complicated things you ignore; the regrets you have; a first love that consumes you until it runs its course and life not only miraculously goes on but gets better. 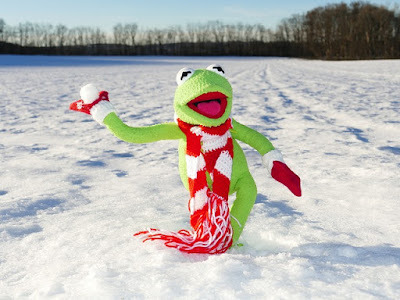 It's a beautiful, sad, uplifting, snowy study of a life centered around—of all things—blankets. The best, the brightest, and the boldest. Gary Chapman, professor of painting and drawing at UAB, has selected work from his most talented students for the Birmingham Public Library's (BPL) latest art gallery, Painting @ UAB: The Students of Gary Chapman. Join the opening reception for the exhibit on November 15 at the Fourth Floor Gallery in the East Building of the Central Library. The art students range in age from 19-28 and include both UAB alumni and current seniors and juniors. According to Gary Chapman, the gallery will display a “broad range of style and content.” Many of the pieces have taken from two weeks to two months to complete. Some works are still in progress as students prepare for the exhibit's opening. Gary Chapman discussed his take on art in a feature interview with the ALS department. Bethany: The students’ artwork represented in this gallery varies significantly in mood, context, and composition. Yet all the artists share the same teacher—you. As such, how do you encourage your students to develop their own aesthetic within the restrictions of the academic setting? 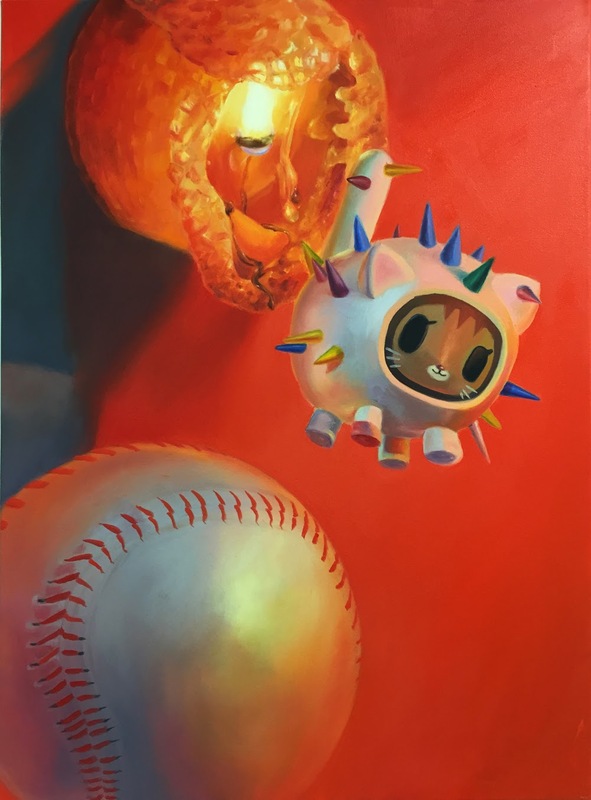 Gary: All of my students begin with a very academic “How to Paint with Oil” class, which centers upon a series of still lifes with very clear steps and objectives. Each subsequent still life builds upon the objectives of the previous assignment. Students come out of the class with a real sense of accomplishment and confidence to explore the medium with a solid range of skill sets. They learn the command of the language of paint, which is necessary for any fine painting whether it be realism or abstract. Of course this mastery ultimately takes more than one semester, but the foundation has been established with a clear platform we refer to as “The Mantra,” which helps guide them to the mastery of the medium. 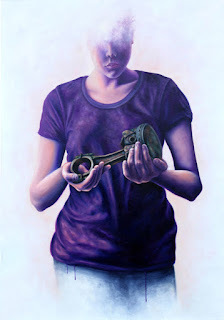 After the first semester of painting, all other painting courses at UAB focus upon expanding this understanding of paint through exploration and developing each students unique voice or hand with paint and image making. They are challenged to research artists, writers and thinkers with unique yet related interests. They are also challenged to think introspectively on the events and persons in their lives that helped to shape who they are and who they are becoming. This ultimately helps the student to develop an authentic, personal aesthetic and conceptual purpose. Bethany: Madeleine L'Engle, author of Walking on Water: Reflections on Faith and Art, considers “the discipline of creation” as an “effort towards wholeness.” This suggests that the process of creating art is not merely an external practice but is in fact the artist’s continual effort to understand himself/herself. What has surprised you most about your students as they continue to develop their skills? Gary: My students are college students so they are fully engaged in the transformation process that the college experience affords them. Ideally they are stretching themselves, opening up to new experiences, shedding themselves of all the baggage they have acquired or that has been thrust upon them by peer pressure, family, and typical teenage social pressures. For many of these students, making Art becomes an important part of their coming of age and finding themselves post high school and having left home. The cathartic process can be a fantastic means for establishing Art as an important component to a creative person's life. Bethany: In the art classroom, what is the most common mistake that you have noticed artists-in-training make, and how do you help them resolve that mistake? Gary: Students sometimes rely too heavily on what they already know how to do and are afraid to let go, explore and allow the medium to do what it wants to do. These students need to reacquaint themselves with the medium by approaching it from a different process. Learn what the medium naturally can do and capitalize on these qualities instead of trying to harness and control it. Bethany: What is the most important advice you can give to aspiring artists? Gary: Really explore the questions, “Why do you want to do this?” “What do you expect to get out of your art and the life choice of being an artist?” The statistics are staggering regarding how many people graduate with Art degrees and then later stop making Art. As much as so many want to do this, so few succeed. It clearly must not be easy. Find what drives you to think, create, and do. 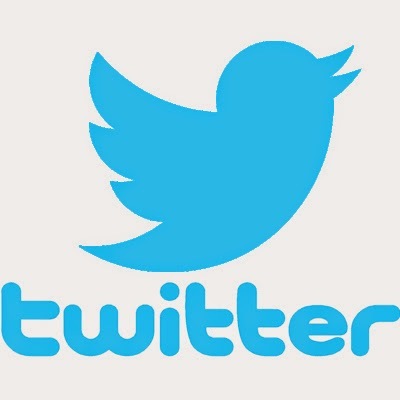 Bethany: Louis L'Amour, author of Education of a Wandering Man, states, “The key to understanding any people is in its art: its writing, painting, sculpture.” In your opinion, what is popular art today saying about recent generations? Gary: It is both an exciting and frustrating time to be making Art. We are scattered, bi-polar, without focus, and somewhat superficial. Bethany: Finally, how can Birmingham residents best support their city’s art community? 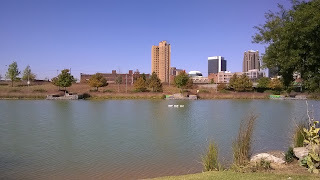 Gary: We have a very fine art museum, a number of fine art institutions such as Space One Eleven, Studio By the Tracks, Beta Pictoris Gallery and, of course, UAB’s spectacular AEIVA. Get on their mailing lists and attend openings. Buy art when you are compelled and attend some of our exceptional art events: Artwalk, Magic City Art Connection in Linn Park, Bluff Park Art Show. Most of all, don’t buy cheap reproduction pictures at Hobby Lobby and Bed Bath & Beyond to decorate your walls. Buy real work that moves you to do so. There is plenty of exceptional Art being created in this great city. 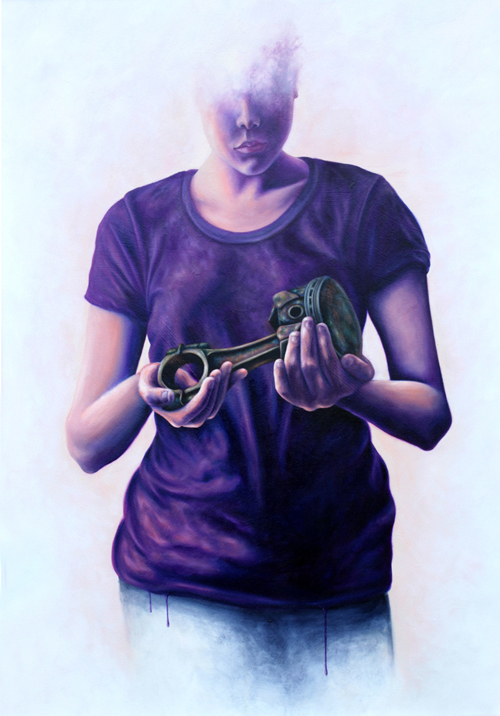 BPL presents an exhibition of artwork by students in the painting program at UAB. The exhibit opens in the Fourth Floor Gallery of the Central Library located at 2100 Park Place on Sunday, November 15, and runs through Thursday, December 31. The public is invited to meet the artists at the opening reception on Sunday, November 15, 2015, from 2:30 p.m. until 5:00 p.m. in the Central Library’s Boardroom adjacent to the gallery. The reception is free of charge and open to the public. 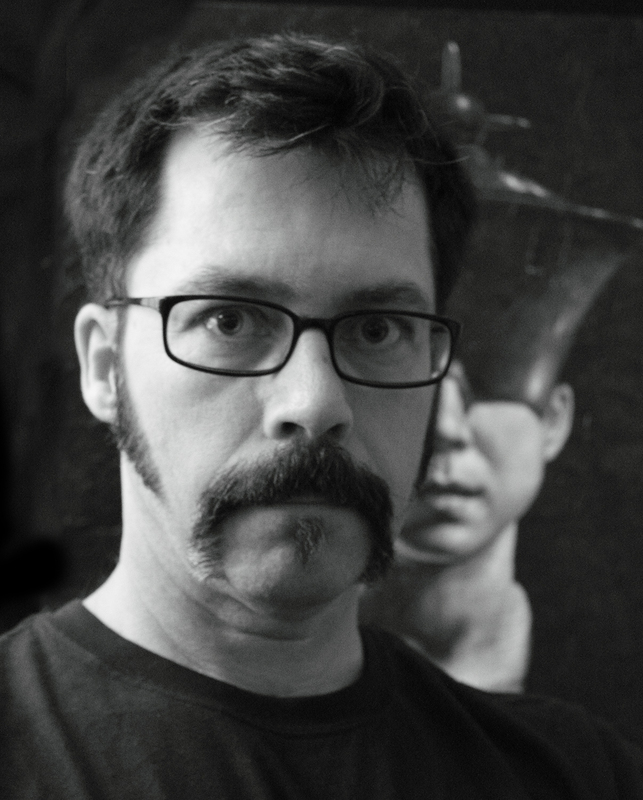 Gary Chapman received his MFA from the Cranbrook Academy of Art and a BA and BS from Berea College. 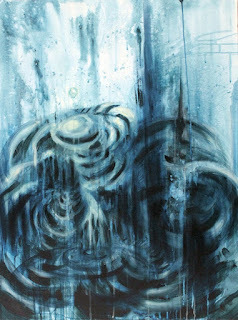 Chapman has had over 60 solo exhibitions with institutions such as The Montgomery Museum of Fine Arts, University of Cincinnati, University of Georgia, and University of Miami. He has participated in numerous group exhibitions with regional, national, and international venues. In 2013 Chapman was awarded and named a CALL Legacy Artist by the Joan Mitchell Foundation. Chapman's work has received recognition and awards from such notable figures as Ned Rifkin, Dennis Barrie, John Ravenal, Annette Carlozzi, and Jack Cowart. 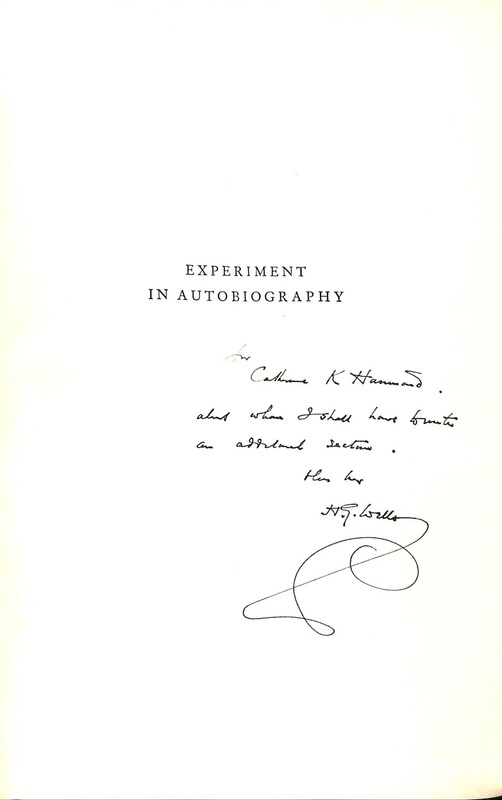 In 2008 his work was selected and published in the book Alabama Masters: Artists and their work. He has received numerous grants and fellowships including a 1996 National Endowment for the Arts Fellowship in Painting from the Southern Arts Federation and 2001 and 1994, Individual Artist Fellowships from the Alabama State Council on the Arts. His work has been reviewed extensively and is published in over 20 catalogs and books including the third, sixteenth, and fifty-second editions of New American Paintings. Paintings by Chapman have been purchased for the permanent collections of 10 museums throughout the Southeastern region. These include the Birmingham, Montgomery, and Ogden Museums of Art. His work is also included in many corporate and private collections throughout the country. Thinking about learning to paint? Check out these feature items from ALS, and don’t forget to take a look at past, current, and future art exhibits at the Birmingham Public library here. New York Times’ best-selling author Omar Tyree will hold a book signing at Smithfield Branch Library on Tuesday, October 21. Tyree will be greeting patrons and signing copies of his latest book, All Access, between 5:00 and 7:00 p.m. Tyree is donating Smithfield Library 20 percent of all book sales. Tyree has published 28 books that have sold 2.5 million copies combined. Tyree is best known for his gritty urban novels depicting the lives of African American women in such books as For the Love of Money, Leslie, and Diary of a Groupie. His Flyy Girl best seller, part of a trilogy that sold a combined 1.1 million books, is being turned into a feature film currently slated for release in August 2016, Tyree said in an interview today. 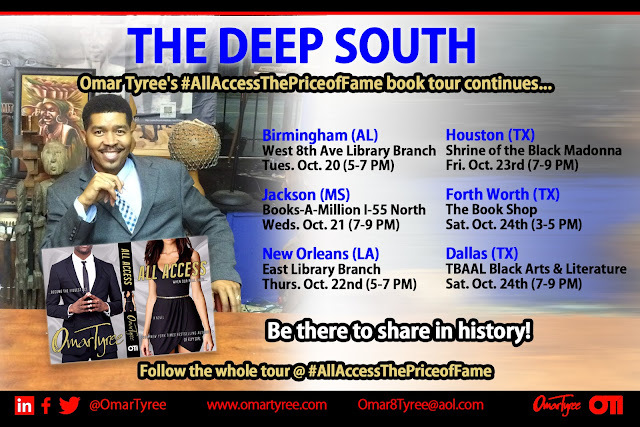 Tyree’s Birmingham stop is in the middle of a 26-city book signing campaign he calls All Access: The Price of Fame Tour. Since All Access was released October 6, he has also held book signings in Delaware, New York City, and Washington, D.C. In coming days, he takes the tour to Jackson, Mississippi, and New Orleans. Tyree said All Access is a book relevant in today’s society where people obsessed with fame give up too much of their personal lives via social media and reality television. It involves a veteran Atlanta anchor who joins a celebrity gossip website and lands a major interview with a volatile entertainer. “This guy keeps getting involved in all of these incidents and she wonders why he never gets into trouble,” Tyree said. Seeking confirmation about the allegations the star faces, the journalist gets involved in his “all access” invitations, and the fallout of rumors and social media attacks begin to unravel her family and job security. With a six-figure income, dedicated husband, and two young children, she has lots to lose. A Philadelphia native, Tyree, 46, has a degree in print journalism from Howard University, and spent his early career as a newspaper reporter before starting his first book publishing company to release his earliest works of fiction. He is a 2001 NAACP Image Award recipient for Outstanding Literature in Fiction, and a 2006 Phillis Wheatley Literary Award winner for Body of Work in Fiction. Tyree has been featured in national publications, including the Washington Post, Essence, and Upscale. For more information on Omar Tyree and his books, go to www.omartyree.com. In an America of the possible near future, a series of events leads to the meeting of two young boys. Inclined to be enemies, they could be friends. The question is: What will circumstance permit, and what will the inexorable forces of time and emotion prevent? One young man is an orphaned Islamic youth who, in an America hardened by another devastating 9-11-style attack, is living in a modern-day internment camp in the Dakotas, where most Muslims were rounded up and isolated. The other is the youngest son of a family who relocated after the attacks, living a somewhat privileged life under the ever-present threat of another attack. Drawing them together is an older man who is an unlikely candidate to be an adoptive father but who decides to adopt one boy, and thus begins a series of encounters that illustrate what happens in our interactions with others throughout our lives. What are our preconceived notions about others based on their race or religion? How do we know that what we have been told all our lives is true or even accurate? Looming in the background is another story, possibly of what was or maybe of what could have been. We are not sure what are memories and what are mere delusions—Did a family member die in the attack or not? Did she even exist or was she aborted? What would be changed if a life was cut off before it even started? Are there other possibilities, other universes where society is just a little bit different due to one decision, in one life? The possibilities are endless—or are they? Halloween is right around the corner and the library is full of good reading treats, including books about my favorite worry wart, Scaredy Orville Squirrel, aka Scaredy Squirrel. Scaredy is the main character in a series of children’s books written and illustrated by Melanie Watt. In addition to winning several awards, in 2011 Scaredy starred in his very own cartoon series. Scaredy’s initials S.O.S. are a tell-tale sign of his personality. Scaredy dislikes danger, making eye contact and germs—just to name a few. He is a master at identifying his fears, avoiding them when possible, and developing a contingency plan; which usually involves an emergency kit and playing dead till the threat passes. Check out Scaredy Squirrel Prepares for Halloween and other Scaredy Squirrel titles at my favorite book place, the Birmingham Public Library. The UAB Department of Theatre has been sending student actors out to entertain people all over the state since the mid-1980s. Thanks to a Hillcrest Foundation grant, Theatre UAB student actors will tour selected Birmingham Public Library branches starting November 13. They will present programs on movie medleys, anti-bullying, and a condensed version of Alice in Wonderland. Learn more about Theatre UAB at https://www.uab.edu/cas/theatre/tour-groups. All programs start at 3:15 p.m. This program dealing with bullies raises questions and offers solutions about this age-old problem. How should you respond when you're being bullied? How can you make bullying stop? All of these questions and more are addressed in this insightful and challenging program. Celebrate the silver screen with this exciting revue spanning decades of movie magic. Selections include "Moon River"; "Raindrops Keep Fallin' On My Head"; "Under the Sea"; "Flashdance...What a Feeling"; "Night Fever"; "Footloose"; "Meet the Flintstones"; a medley from Frozen, and many more! Goldsmith's compact version of the Lewis Carrol masterpiece has been delighting audiences for years at Columbus Children's Theatre, Ohio, where he serves as artistic director and playwright. Alice's plummet down the rabbit hole introduces her to a host of outlandish characters, ingeniously played by four actors. 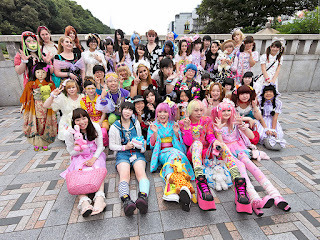 Here I am in Harajuku, the epicenter of Japanese youth culture and fashion, with some people I just met! Aren’t we just too cute! Sunday afternoon is the best time-lots of cosplayers, punks, and lolitas. I’m towards the back on the left! Click the picture to see our fun outfits! Interested in meeting a local artist internationally known for his college and professional sports-themed paintings? Steve Skipper was the first African American artist sanctioned to do artwork for the University of Alabama, Auburn University, Dallas Cowboys, Washington Redskins, NASCAR, the Professional Bull Riders, and the PGA of America. 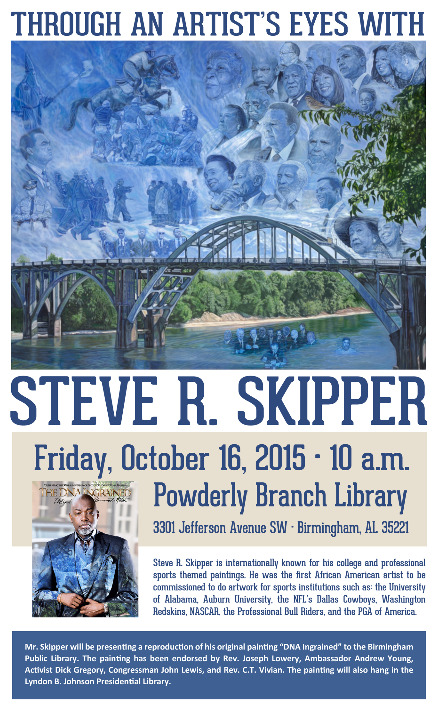 Please join us on Friday, October 16, 10:00 a.m., at the Powderly Branch Library, as Steve Skipper presents a reproduction of DNA Ingrained to the Birmingham Public Library. Celebrate Your Family This October with Family History Month! October is Family History Month, and the Southern History Department is celebrating with a great lineup of class and events. Nearly everyone becomes curious about the family heritage or their ancestors at some point in their lives. Most often, this interest begins with a family story or legend that sparks someone’s curiosity. As people come to the Southern History Department, we love to hear why they decided to start researching their genealogy. Here are some of the most common reasons. Genealogy can be great fun as you unravel family secrets and find long-lost relatives, but many people do not know where to start. Our Introduction to Genealogy class is perfect for beginners as it covers the different types of sources encountered in genealogy. We offer this class throughout the year. This month, we are offering it at the Central branch of the Birmingham Public Library, Hueytown Public Library, and Irondale Public Library. We will once again teaching a hands-on computer class on FamilySearch, a free genealogy website that connects you to resources to research your family history. In this class, you will learn how to locate genealogy resources, build your own family tree, and so much more. Using FamilySearch.org will take place on Tuesday, October 13, from 9:15-10:15 a.m., in the Regional Learning Computer Center (RLCC) on the 4th floor of the Linn Henley building at Central Library. Because we offer these classes in the RLCC, space is limited, so please call 205-226-3680 to register. We also will have another edition of our popular topical genealogy workshop series, Beyond the Basics of Genealogy. This month’s workshop is entitled The Ties That Bind: Connecting to Your Alabama Slave and Slaveholder Ancestors and will be held on Saturday, October 17 at 10:00 a.m. in the Arrington Auditorium located on the 4th floor of the Linn Henley building. In this workshop, we will go over a number of readily available sources from 1860 to 1870 that can help you to find and to follow your slave and slaveholder ancestors within that critical period of transition. This workshop is free of charge, but registration is requested. To register, contact the Southern History Department of the Birmingham Public Library at 205-226-3665 or askgenlocal@bham.lib.al.us. The Birmingham Public Library’s popular Bards & Brews spoken word poetry and craft beer tasting event will close the four-day Eat Drink Read Write festival at the Central Library Friday, October 9. Doors open at 6:15 p.m., and poets wanting to participate can sign up beginning at 6:30 p.m. The Poetry Slam will begin at 7:00 p.m. Beer will be donated from a number of local breweries, including Cahaba Brewing, Good People Brewing, and Avondale Brewing. Brian “Voice Porter” Hawkins, a performance artist and experienced poetry slam emcee, will host the free evening event. Poets will compete in a slam for $500 in cash prizes while attendees sample beer, coffee, tea, and snacks. Poems for the first round of the slam must be about food, eating or drinking, said Brandon C. Smith, manager of the Eastwood Branch Library and Coordinator of the 2015 festival. Bards & Brews is the inspiration of Haruyo Miyagawa, head of the Arts, Literature and Sports Department at the Central Library. October celebrates the fifth anniversary of the event. Spoken word poetry slams have been popular across the country. The movie Love Jones and Russell Simmons’ Def Poetry Jams have introduced poetry slams to a younger generation. Miyagawa also inspired the Eat Drink Read Write festival. In 2011, she and food blogger Shaun Chavis put their heads together to create a cultural event that highlights Birmingham’s growing notoriety as a dining destination, and raise awareness of food-related issues. This year’s Eat Drink Read Write festival, set up like a four-course meal, began with Tuesday’s Appetizer “Human Library” event and concludes with the “After Dinner Drinks”-style Bards & Brews event this Friday. The Eat Drink Read Write festival was made possible by contributions from main sponsors InSinkErator, the Protective Life Foundation, and the Birmingham Public Library Young Professionals. Other sponsors are Alabama Sustainable Agriculture Network, Avondale Brewing Co., Friends of the Birmingham Public Library, Good People Brewing Co., Hotbox at Parkside, Lawson State Community College, Vizzini Farms Winery, What to Eat in Birmingham, and Alabama State Council on the Arts. Bards & Brews is a spoken word poetry performance/beer tasting event hosted by the Birmingham Public Library usually held on the first Friday of each month except December. Slams are held quarterly in January, April, July, and October; the other sessions are open mic. Live musical performances are held before the poetry performances begin. The staff from J. Clyde bar in Birmingham usually pours for the evening. You must be 18 or over to attend, and 21 or over to drink. Bring your ID. Come early, as these events are well attended. Bards & Brews is made possible by grants from the Alabama State Council on the Arts and the National Endowment for the Arts in partnership with The J. Clyde. After this Friday’s Poetry Slam to close out the Eat Drink Read Write festival, there is one more Bards & Brews event left for 2015. 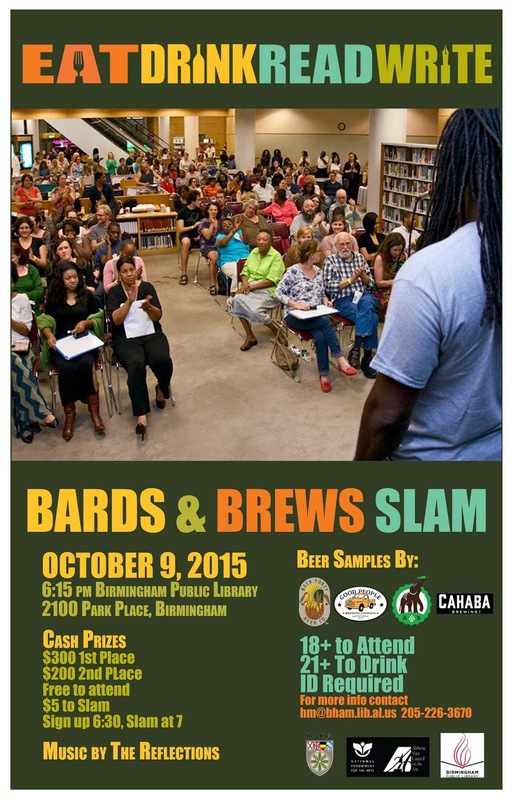 On Friday, November 6, the Central Library will host an Open Mic Bards & Brews event. More details will be released later.